Catalina Maria Johnson » Latinx Groovers: Womex 2017 recap 2! 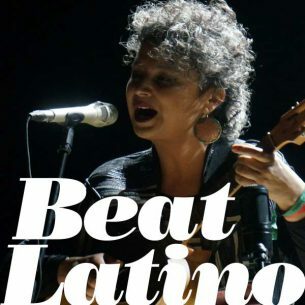 http://beatlatino.s3.amazonaws.com/Latinx%20Groovers%20at%20WOMEX%202017_Beat%20Latino%20with%20Catalina%20Maria%20Johnson.mp3 Download this Episode of Beat Latino (MP3) Womex 2017 Recap Part 2! A focus on the music by Latinx groovers from Argentina to Venezuela to Mexico to the Caribbean island of Colombia and beyond! Take a listen to the wide and wonderful world of Latinx global music that showcased at Womex 2017 in Katowice, Poland. From the trance to the dance, the choice is yours!